Having averaged a triple double in two consecutive seasons for the first time in the history of the NBA, Russell Westbrook has cemented himself as the Jordan Brand’s top signature athlete. To boot, he has one of the most affordable lines of signature sneakers on the market today, with the original Why Not Zer0.1 costing $125, and the low version just $115. 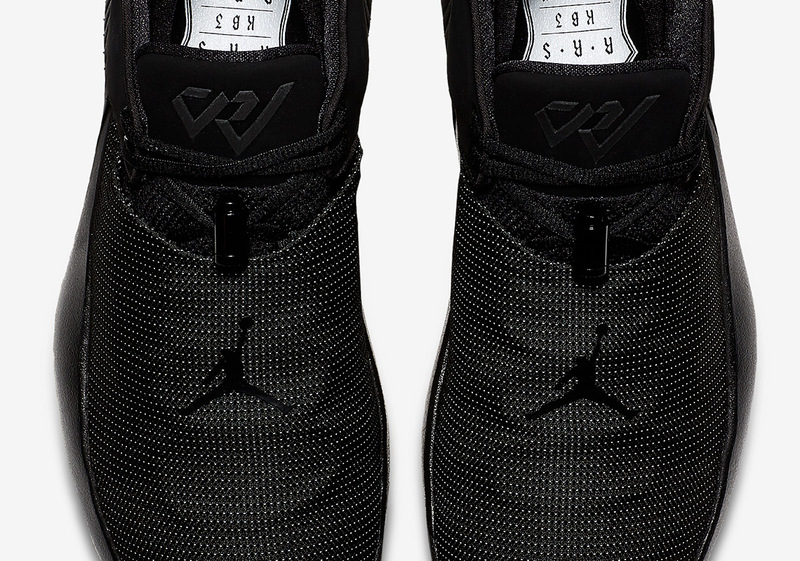 After releasing in a plethora of attractive and intriguing color schemes, the Jumpman is ready to roll out a hotly admired Triple Black colorway. Its upper sports a completely tonal look, while the only reprise from the otherwise blacked out aesthetic is a white Jumpman logo that can be found on this sneaker’s outsole. Enjoy an official look at this Jordan Why Not Zer0.1 Low below and look for its arrival on Nike.com in the coming weeks.